Kyrgyzstan: Can Bishkek Afford Legal Fight with Latvian Businessman? Cash-strapped Kyrgyzstan is gearing up for a legal match it cannot afford to lose, and which, some local observers believe, may be too politically charged to settle. At the center of the brewing legal showdown is Valeri Belokon, a Latvian banker and entrepreneur, who in England is an emerging philanthropist and a co-owner of the historic Blackpool Football Club. In Kyrgyzstan, however, he is facing a money-laundering charge and is seen as a reputed associate of perhaps the most-hated public figure in the Central Asian country today – Maxim Bakiyev, the son of the former president. Belokon owns almost 70 percent of Baltic International Bank and has interests in several other businesses in Latvia. He entered the Kyrgyz banking sector back in 2008, when, he has told researchers from Global Witness, an international anti-graft watchdog, he founded Manas Bank. After the ouster of former president Kurmanbek Bakiyev’s administration in 2010, Manas Bank quickly came under scrutiny from the country’s new authorities. Eventually, officials installed new managers to run the bank and charged that Belokon and the Bakiyevs with using it to launder money. Belokon vigorously denies the criminal charge against him, and has indicated he is seeking damages via international arbitration for the government’s take-away of the bank. For him, the Kyrgyz case may be in part about preserving his budding reputation in England, where he has gained respect not only as a football club owner, but also as a trustee of Prince Charles’ Foundation for Building Community. 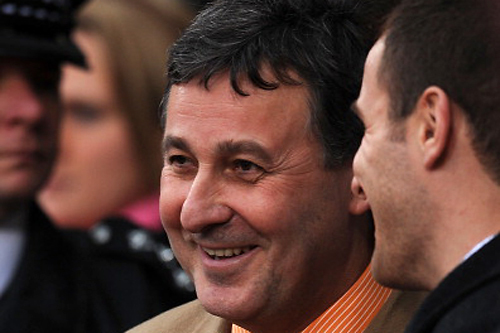 According to his biography on the foundation’s website, “Valeri is greatly committed to social initiatives and patronage.” A prolonged arbitration battle could result in a favorable award for Belokon, but it is also possible that details could emerge about past activities that could sully his public image in Europe. His public image in Kyrgyzstan is already problematic, mainly because he is closely linked to Maxim Bakiyev, who is accused of everything from illegally profiting off fuel-supply contracts at the Manas air base to fomenting ethnic conflict in the country’s south. A recent report on money laundering in the Central Asian country by Global Witness shed light on the relationship between Belokon and Maxim Bakiyev. Cooperating with the authors of the report, Belokon acknowledged that his entry into the Kyrgyz banking sector began at Bakiyev’s suggestion, while also confirming that the two were partners in the Latvia-based Maval Aktivi AS holding company. Over the period Manas Bank operated in Kyrgyzstan, the report notes, there were “strong indications of Maxim’s influence” over the banking sector. Although Belokon has acknowledged an effort to seek redress via arbitration, basic information, including the venue where he is bringing his case, and a hearing date, are not publicly known. A former Manas Bank staffer told EurasiaNet.org on condition of anonymity that Belokon and his high-profile legal team from the London-based firm of Clifford Chance remain interested in a legal settlement. Apparently, the source indicated, they would drop arbitration proceedings in exchange for halting the criminal case against him. Such an offer, if it actually exists, should appeal to Kyrgyz authorities. As some local media outlets, including the newspaper Vechernii Bishkek, have noted, a loss in the arbitration case could cost the Kyrgyz government upwards of $100 million. According to CIA World Factbook estimates for 2011, government revenue last year amounted to $1.69 billion, while expenditures totaled $1.98 billion. Despite the high risk involved in proceeding with arbitration, a settlement that involves the dropping of both the arbitration process and the criminal case could be “politically undesirable” for the Kyrgyz government, the Manas Bank source told EurasiaNet.org. A major disincentive for Bishkek is that it would weaken the current government’s position in legal disputes with other businessmen who had assets seized after Kurmanbek Bakiyev’s ouster. Moreover, it could present Kyrgyz opposition politicians with an opportunity to score political points. Authorities are eager to look tough on the business partners of the former regime. As maneuvering between Belokon and Bishkek continues, officials are mum on the proceedings. A representative of the General Prosecutor’s office declined to discuss the money-laundering charge against Belokon. “British judges argue that they cannot extradite anyone back to a place where there is no rule of law,” Hollingsworth said in an email interview. Speaking with EurasiaNet.org, Edil Baisalov, a former chief of staff to Roza Otunbayeva, who served as provisional president immediately after Bakiyev’s ouster, said he is “pessimistic” the Kyrgyz government will “get it together” in the event of international arbitration. Yet Kyrgyzstan has a moral obligation to pursue a case against the Latvian banker and his bank, Baisalov said. “The Bakiyevs were owners of this country and [Belokon] was their close partner. All the doors were opened for him,” Baisalov said.